Holidaying in Kashmir is a dream for travelers across the world, we Indians are no exception. The scenic locales, snow-capped mountains in the backdrop of the Dal Lake dotted with Shikaras and other attractions have regularly figured in many an Indian movie, simply adding to the appeal of the place. 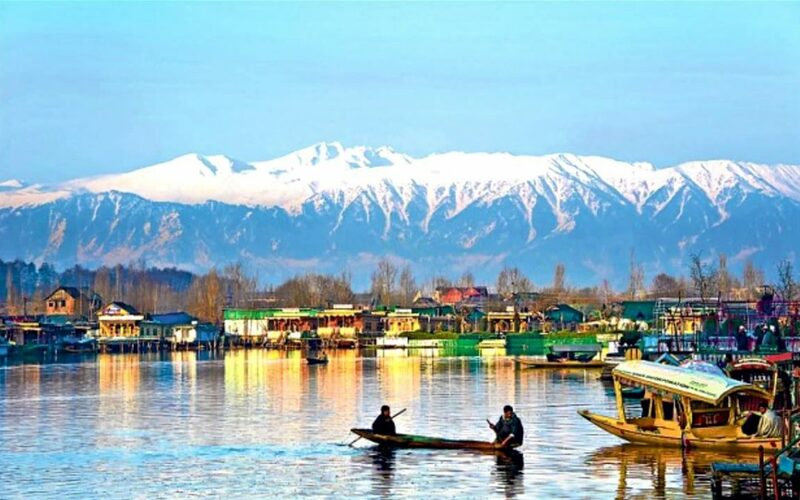 In recent times you not only get to experience the beauty of Kashmir, but also a sense of thrill, excitement and probably a tad of anxiety given the fragile political and social environment. 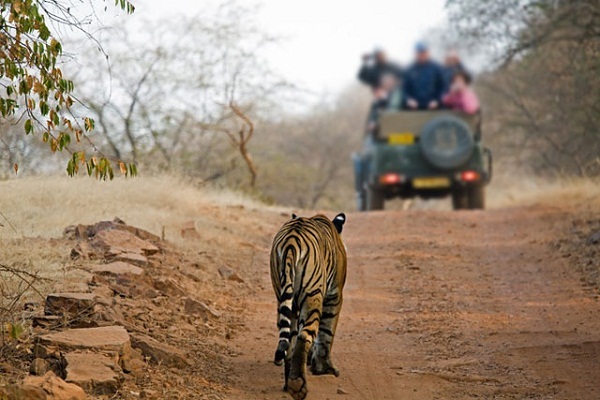 Timing your trip right and teaming up with a reputed tour organizer is bound to address any concerns that you might have, allowing you to have an enjoyable, safe, and memorable holiday. If you’re still undecided, read on to find out about the different things you can experience in Kashmir. 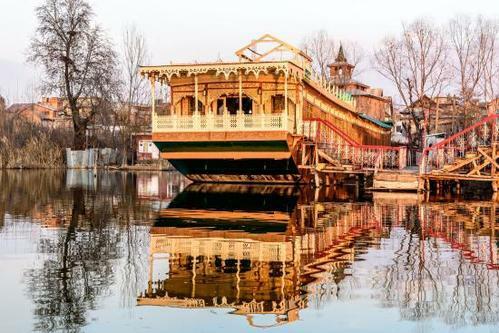 The different lakes of Kashmir offer an opportunity for visitors to enjoy a stay/cruise on a houseboat, indulge in a traditional Shikara ride or even try their hands at canoeing. Large expanses of water bounded by tall snow-clad peaksor forested hills are indeed the most romantic of settings for a boat ride with your beloved. These lakes are equally ideal for an enjoyable boating excursion with friends and family as well! Boating facilities are available at the Dal Lake, Nagin Lake (extension of the Dal Lake) and the Surinsar-Mansar Lakes, a Ramsar reserve site, each of them having a unique appeal. Except for the winters, you can experience a riot of color in the well-maintained public gardens of Kashmir as you venture out for leisurely stroll in the crisp and cool high-altitude settings. Most of these gardens are based on Mughal architecture – terraced landscapes with channels of flowing water lined by flowering plants and tall trees, ornamental fountains, paved walkways, manicured shrubs and sprawling lawns – a delight to behold. Set against the mountain ranges in the background or the Dal lake, it is a pleasure to explore the Nishat, Shalimar, ChashmaShahi, Achbal, Verinag, Harwan, Pari Mahal and other gardens in and around Kashmir. 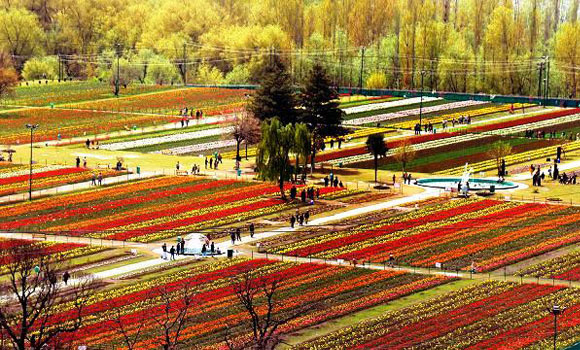 Colorful roses in full bloom are a specialty at these gardens and so are the multi-colored tulips at the Indira Gandhi Memorial Tulip Garden in Srinagar. If you are into elite sporting and adventure activities, Kashmir is a haven where you can indulge in some challenging outdoor adventures – white water rafting, high altitude trekking and hiking, tracking the elusive snow leopard, mountaineering, rappelling and mountain biking – the list simply keeps growing. Hot air ballooning and Paragliding are particularly appealing if you wish to play it safe. You can experience a sense of freedom soaring in the sky, and immense joy as you glide past one of the most beautiful landscapes on earth. Golf and Polo enthusiasts too are well cared for! Chadar trek across the frozen Zanskarriver is a must for thrill seekers. If you love the snow, spending the winter holidays in Kashmir is a great way to catch up with some skiing, ice skating or snow-boarding activities with fellow enthusiasts. Frozen lakes and rivers instantly transform into informal skating rinks at Gulmarg, Pahalgam, Leh, Kargil and other venues, beckoning travelers and seasoned locals for a bout of seemingly effortless glide across the ice! It’s definitely not easy to balance on the slippery surface though! Trekking, hiking and outdoor camping too is possible but weather conditions are bound to be quite harsh and unpredictable. While exploring the beautiful settings of Kashmir on foot is a different pleasure altogether, journeying through the scenic landscape on a horse or a pony could prove enjoyable as well allowing you to observe the settings more comfortably. Long distance Jeep safaris help to cover more scenic terrain in a relaxedmanner, however not all picturesque locations are accessible by road! 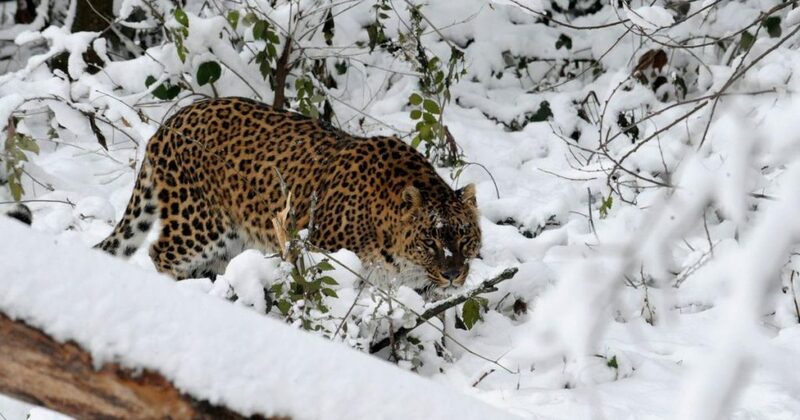 Wildlife sanctuaries in Kashmir are home to leopard, jackal, foxes, brown and black bears in addition to the elusive snow leopard as well as the endangered musk deer and the native Stag species, the Hangul. 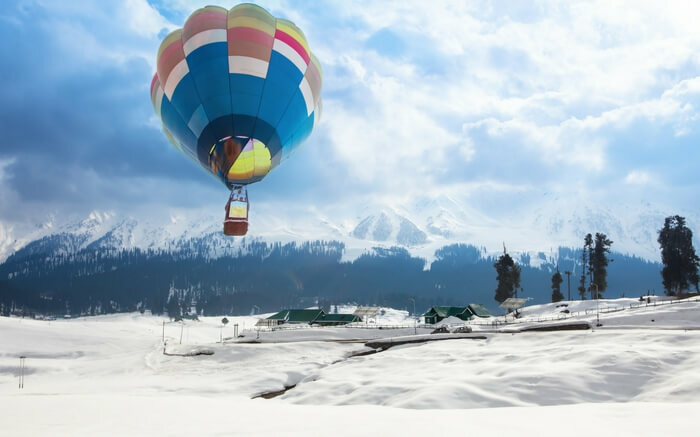 The Gulmarg Biosphere Reserve, Over a Aru Wildlife Sanctuary, Dachigam Wildlife Sanctuary and the different national parks at Hemis, Kishtwar, NubraShyok and several others offer a great opportunity to sight not only native species of birds and animals, but many migratory birds as well. Kashmir is also home to several temples, monasteries and other places of worship where you can offer prayers and respects. 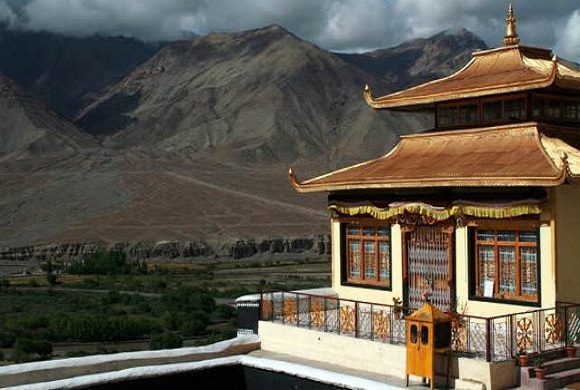 Set in high-altitude amidst serene and scenic locations, the spiritual ambience of these monasteries and temples bring solace to the troubled soul. Being close to nature, brings you closer to its creator, as it becomes quite easy to meditate or pray without major distractions. The monasteries of Ladakh with impressive statues of the Buddha are particularly appealing to visitors of all faiths. 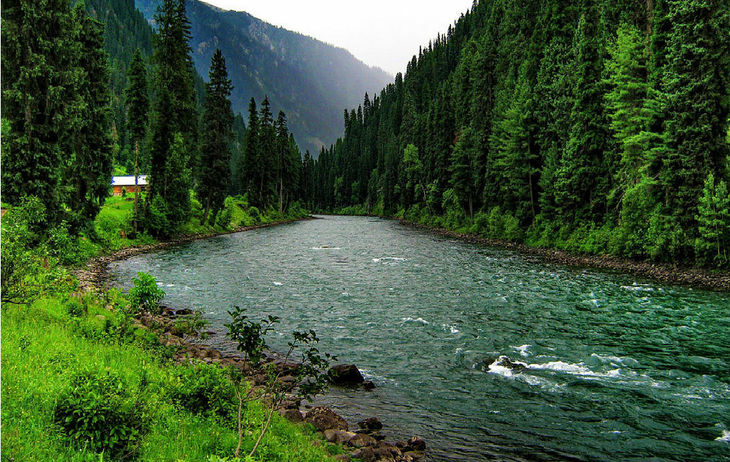 Scenic sights of Kashmir need no elaboration. From snow-capped mountains set against clear blue skies during the summer months to an entire landscape blanketed in snow during the winters, the riot of colors during spring and autumn, stunning images of the rising and setting sun from the lake fronts or alpine hills/plateaus, gurgling waters of the many rivers, rock solid glaciers, birds of prey and colorful pheasants, snow leopards, beards and the Bharal, gleaming statues of the Buddha, it’s a visuals galore out here for you to experience in person and capture for life as well!